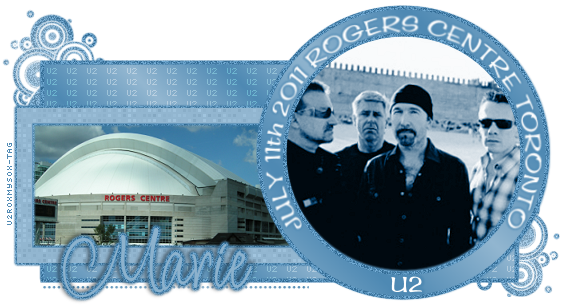 Ramblings of a Daydreamer: Toronto tomorrow, U2 Monday!!! For anyone who visits my blog regularly, you've probably noticed that it's been pretty dead in here this week. I've had so much going on lately that I decided to cut back on my internet time this week and relax a bit because I felt like my head was going to explode. Not only with work stuff, but because I'm going away tomorrow and I'm so excited! I'm heading out tomorrow with Amanda (my sister-in-law) for Toronto, where we'll spend all day tomorrow acting like crazy tourists, then spend all day Monday in a line in front of the Rogers Centre waiting to see U2 Monday night! I'm so unbelievably excited - I've waited for this for 21 months because the concert that was supposed to be last July was postponed to this July after Bono's back injury and emergency surgery. This will be the 3rd time we're seeing U2 (we saw them twice in 2005), and the first time we have GA tickets, so our first all-day line experience. I'm excited and nervous and about a million other things! I'll post all about it when I get back, but for now, if you're interested in what we're up to in Toronto, and during the concert, follow me on Twitter because I'll be updating like crazy!